We began the New Year with an interesting trip to the Keeneland January Sales in Lexington, capital of the Bluegrass country of Kentucky. This is their annual Horses of all Ages Sale which essentially consists of Broodmares, Fillies in and out of training, 2012 weanlings (called Short Yearlings in USA at this time) and few colts in training. 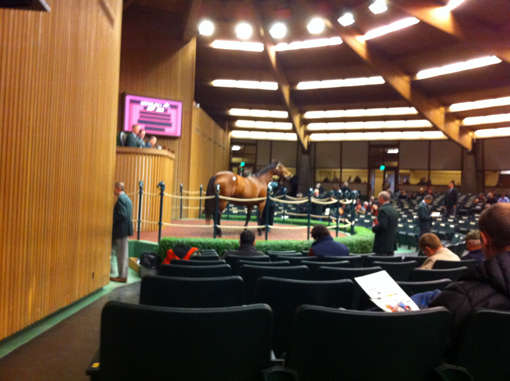 Keeneland is a huge facility that can sell easily 3000 horses over 4 days. From a buyers point of view it is a good place to view and buy but there is a lot of walking involved as there are over 46 Barns. Believe me, it is very easy to get lost and to have a native guide is definately helps to keep the mileage down! There is also a racetrack and a training centre attached. 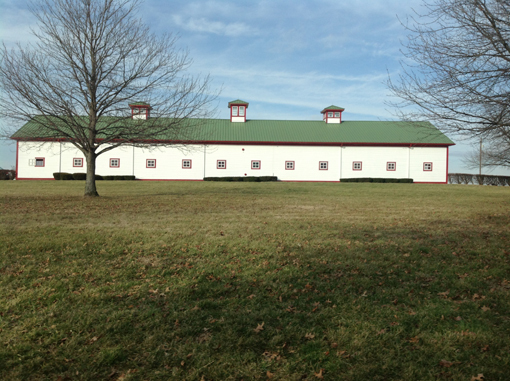 Furthermore there is the Kentucky Horse Park with its famous museum and all the facilities that were installed for the World Equestrian Games. 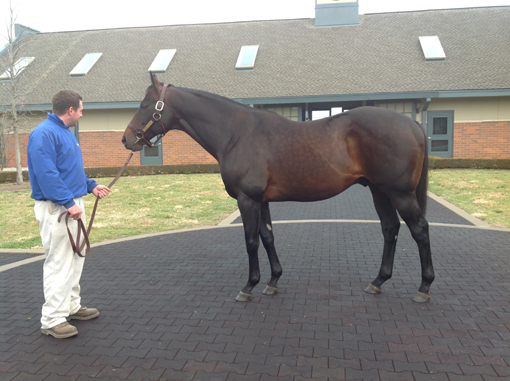 And of course there are many, many beautiful and world famours stud farms, such as Claiborne, Gainesway, Spenthrift, Lanes End, Winstar, Ashford or Darley to name but a few. 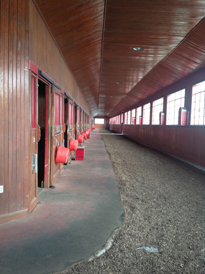 For the Thoroughbred enthusiast a visit is an absolute MUST. At this time of year all the stallion farms hold open days and this is a fantastic opportunity to visit the farms and to see their stallions, some of them famous racehorses such as Curlin or Big Brown and young world leading stallions such as Bernardini and Giants Causeway. 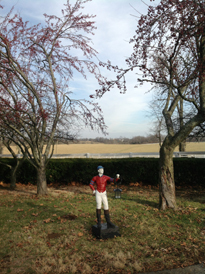 The highlight was a visit to the famous and historic Calumet Farm. Beautiful rolling countryside, with miles and miles of white painted fencing, dotted all over with red and white painted barns, it greets you as you leave the Bluegrass Airport and welcomes you to Kentucky horse country. 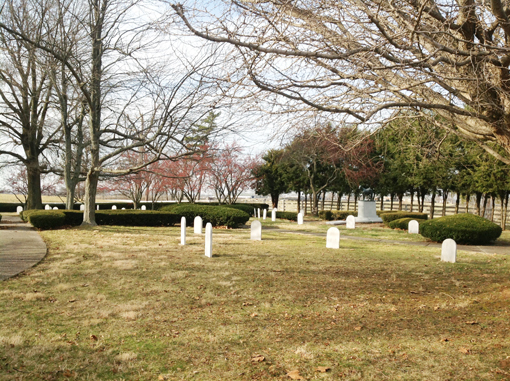 Established in the early twenties as a Standardbred Farm by Mr. Monroe Wright, a baking powder manufacturing tycoon it flourished to be Kentuckys most successful racing and breeding operation. Among the many Champions bred at Calumet were Bull Lea, Citation, Whirlaway and Alydar. Standing at stud were Champion sires such as Alydar and his main rival Affirmed as well as Secreto. 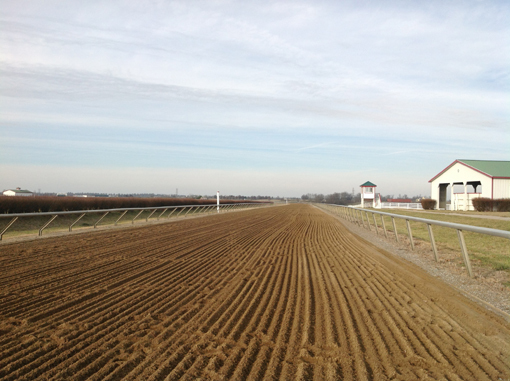 The rise and tragic fall of Calumet Farm Inc., is well described in the Book Wild Ride by Ann Hagedorn Auerbach. This is a great read and much recommended. Sincere thanks to Jeff Berk for being such a good host and to Cathie Parke and Barb Farrell to help me to make the most of my stay. 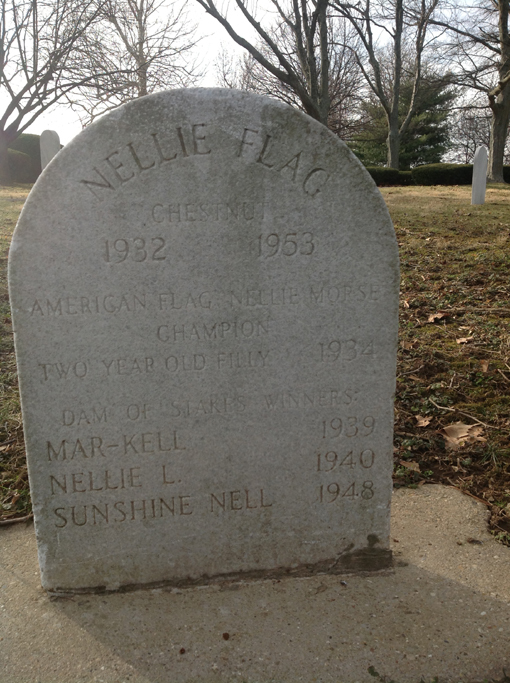 I was thrilled to find the gravestone of Nellie Flag, Champion 2yo filly in 1934, to whom our mare Third Dimension traces back. Sunshine Nell is Third Dimensions 4th dam!